The vacant, four-story Atlanta Apartments at Cass just north of I-75. Photo by Steve Neavling. Now preservationists and others are taking a stand. 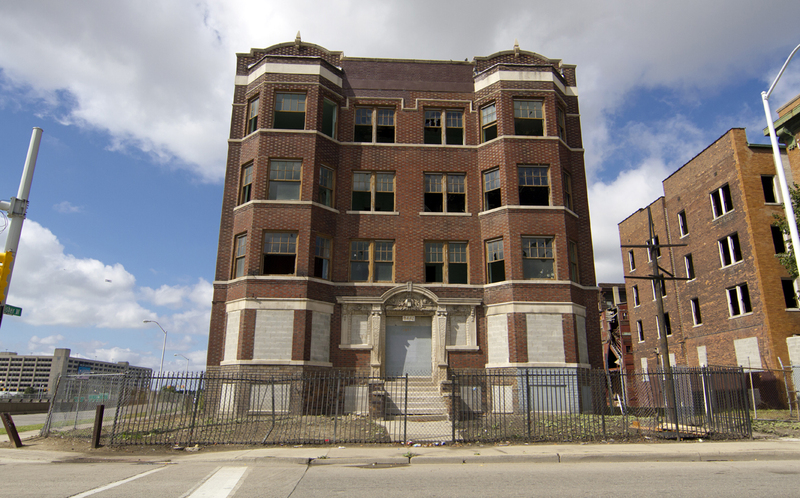 At noon on Thursday, demonstrators are planning a rally and “group hug” outside of two century-old apartment and hotel buildings that soon could be demolished by the Ilitches’ Olympia Development of Michigan. The buildings are on Cass Avenue just north of I-75 in the shadow of the new, tax-funded Pistons arena and entertainment district. Since 2014, Olympia and its affiliated companies have demolished more than a dozen buildings in the rapidly gentrifying Cass Corridor. Preservationists said the vacant, four-story Atlanta Apartments and Hotel Ansonia are structurally sound and salvageable. The four-story Hotel Ansonia. Photo by Steve Neavling. Demonstrators plan to give the buildings a “group hug” by joining hands around the adjacent structures. Olympia planned to raze the buildings as early as next week and received a city permit to remove asbestos. But the company withdrew its request for a demolition permit after preservations urged City Council to designate the buildings as historic. Olympia issued a vague statement when asked about plans for the buildings. 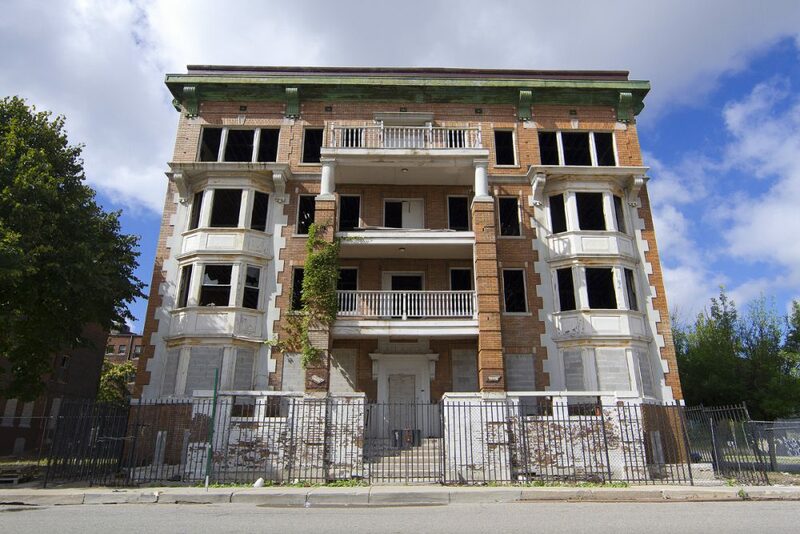 “Routine abatement is being conducted on numerous properties throughout The District Detroit as we continue to evaluate possibilities for future development,” said Olympia spokesman Ed Saenz. Dozens of contractors working on the arena have been fined nearly $3 million for failing to hire enough Detroiters.